I have been talking about making ginger beer for awhile. We love ginger beer! Though I don't need a reason, I like to think of it as medicine as ginger helps with seasickness. Last year when we were putting somethings in storage in the basement of his parents house, Bryce found his old home brew kit. We pulled it out and its just been sitting in the garage waiting for me to get around to it. Two weeks ago, I was at the fruit shop and saw some bags of ginger for $1.99/kg. 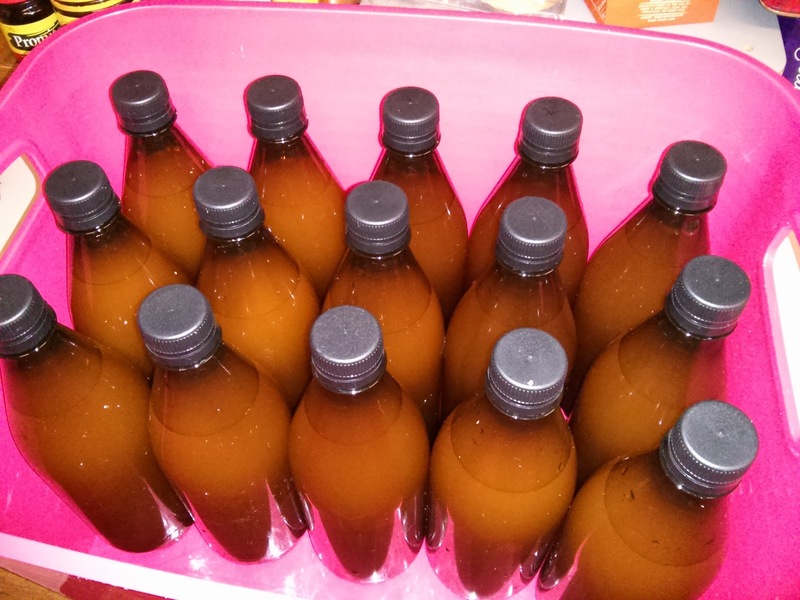 Considering it normally sells for $15 - $20/kg, I jumped at the opportunity, bought three kilos and decided that I was finally going to make me some ginger beer. Such delicious smells coming from this pot of ginger! My initial plan had been to start this project on the boat. 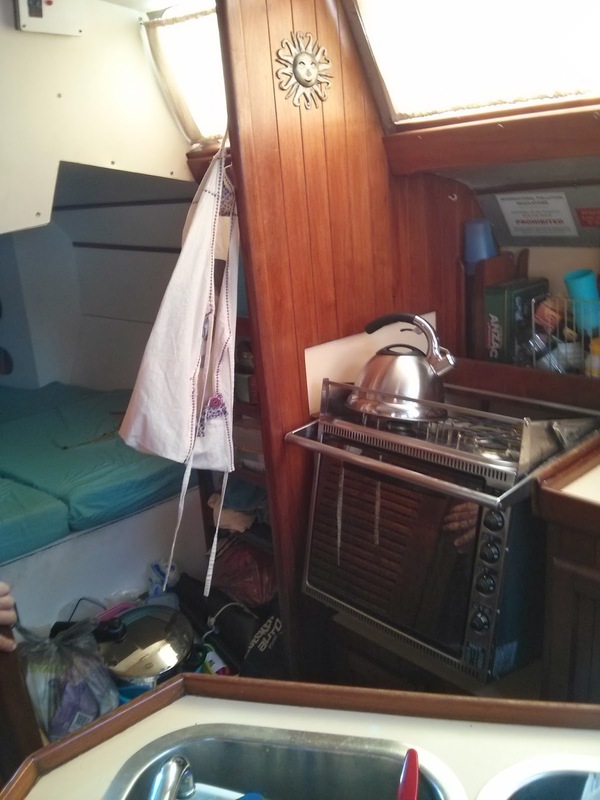 A friend who also lives aboard said we could definitely do it. After actually brewing and bottling a batch, I would agree and will hopefully do it again on board. It would definitely need to be, at least started, in a location where there is access to water, since it uses a lot. Bonus if bottling can happen in a similar location but not essential. Depending on whether or not we would be sailing, it may also be necessary not to fill the tub as high to give some space for sloshing. After adding the sugars and malt. I couldn't find any one recipe that I wanted to follow so what I ended up doing is cobbled together from many different online suggestions plus those of the very helpful man at the brewing shop, Bryce and his brother. Some forums i read suggested adding some chilies for an extra kick, an idea that I loved and borrowed. I had some fresh chilies from my Nannie's garden and I may not have added enough so we will see! I definitely learned alot and would modify some aspects of how I would do it next time. I haven't tried the brew yet since we are trying to be sugar free for 30 days so I can't wait to taste it when it's ready and will let you know what the verdict is. - I cooked the chilies, ginger and rinds directly in the pot and poured it into the tub. This proved to be problematic in the bottling process as the ginger clogged the tap. Next time, I would put those three things in a hops boil bag before cooking and transfer them to the tub in that bag, removing the bag before bottling. - For disinfecting and sterilizing, I did use special brewer cleaning products because we had them. I don't know if I would necessarily use them again next time as I can sterilize in my pressure cooker and generally do a pretty job cleaning otherwise. 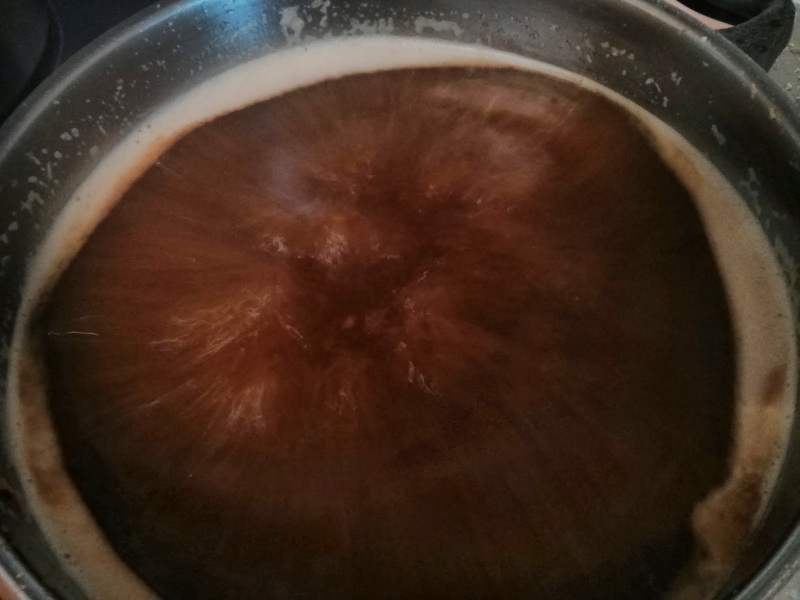 1) If necessary, the day before starting your brew, boil 21 litres of water. Cover and let cool. 2) Clean and sterilize all surfaces and equipment. Give everything a double rinse to ensure that no residual disinfectant remains. 3) Bring 1 L of water to a boil. Add lemon and lime rind and juice, followed by the ginger and return to a boil. Let simmer for a few minutes. Add dextrose, malt, and 300 g sugar. Simmer for ~ 30min. If may be necessary to transfer some of the ginger to the fermentation vessel prior to adding the sugars and malt. 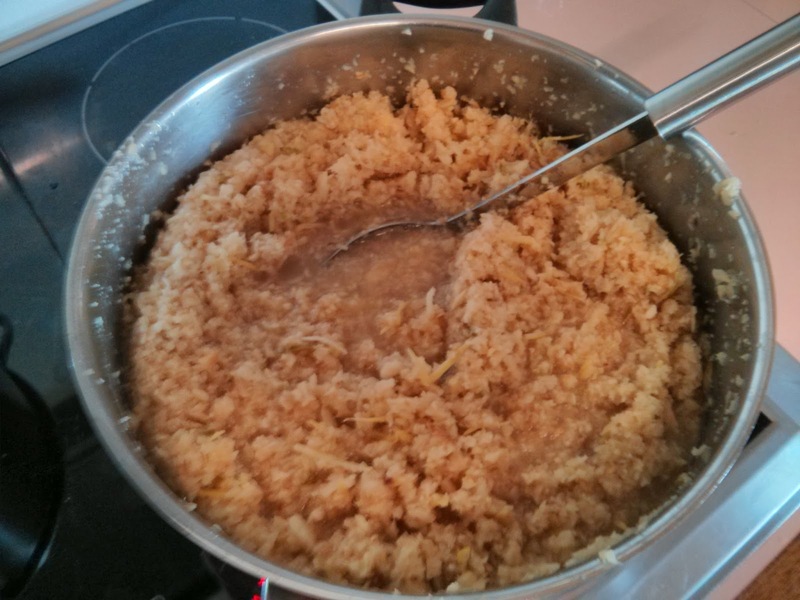 When finished, spoon the solids into the fermentation vessel and pour in the remaining liquid. Let sit for five minutes before adding the 21 L boiled and cooled water to the tub. 4) Wait until the liquid cools to ~ 20-22 C, take a specific gravity reading with the hydrometer (make sure to write it down somewhere). Give the mixture a big stir, then add the yeast while continuing to stir. 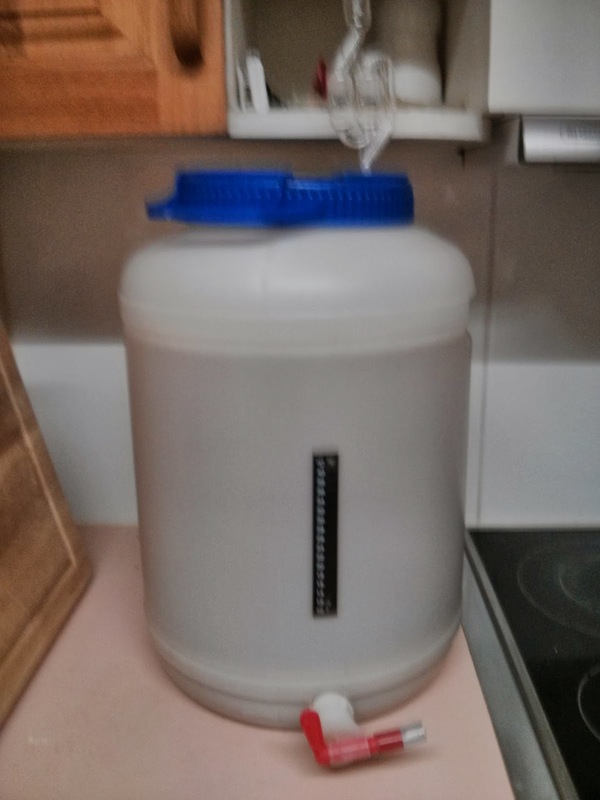 Fit the airlock and bung, close lid and store keg out of the way, preferably where there is a steady temp. Leave for a week. 5) After one week take another specific gravity reading. Each day following take a new reading. When you receive the same reading two days in a row, it is ready to bottle. Let it sit another day before bottling. 6) To bottle, clean and sterilise all surfaces and equipment: bottles, funnel and cheese cloth. Dissolve 150g sugar in 500 ml water and mix into brew. Line funnel with the cheesecloth and fill bottles to about 1 in from the top. Seal and store in a dark place with a steady temperature. This batch fill 29 740ml bottles. Our few days in Maryborough after Christmas were HOT. 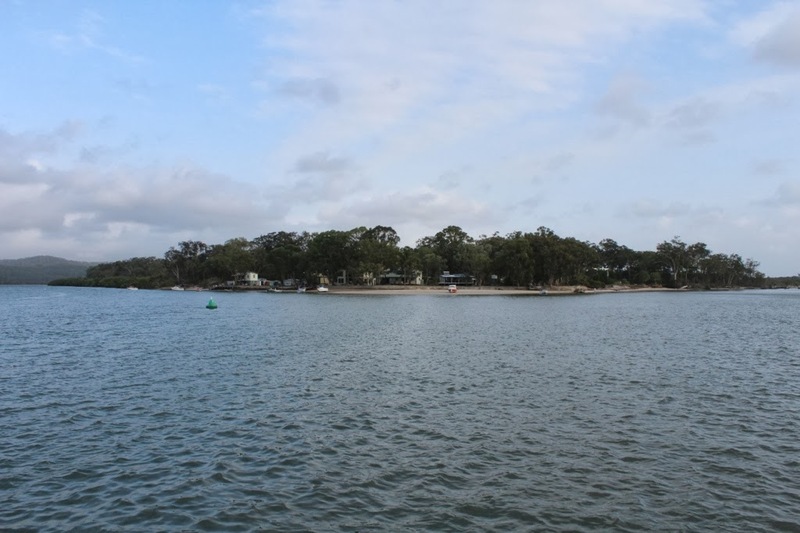 When we first got there, we had moved moorings to a more protected site, we found this working to our disadvantage when we got zero wind on a day when the temp hit above 40 C. We spent a little bit of time walking around Maryborough and it made us wish we could spend more time there. The downtown, riverfront area was a really beautiful space, full of old, historic building and lots of riverfront parklands. 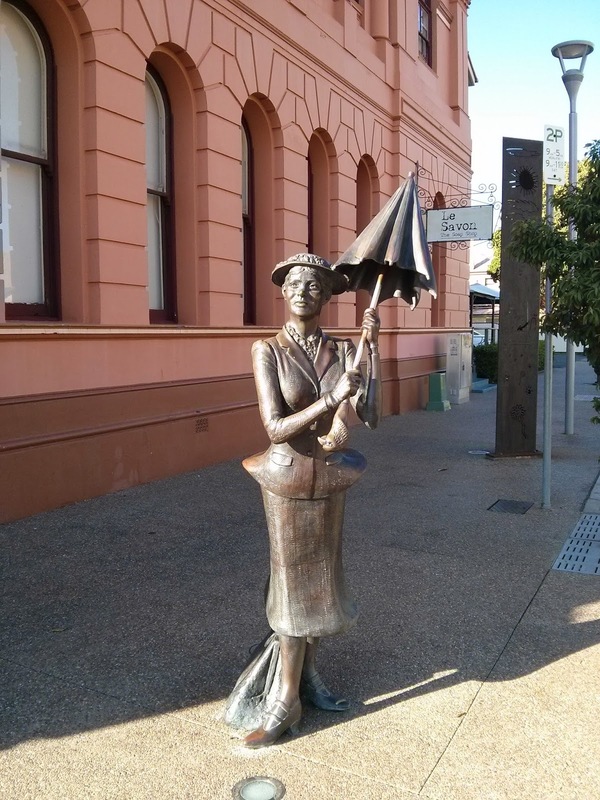 There is also a statue of Mary Poppins, a tribute to her creator, P.L. Travers, who was from Maryborough. When I had been planning to stay here while Bryce was gone, I had done some research and discovered, among other things, a basket weaving class using the local weeds that I missed out on taking by not going back up there. Bryce’s birthday happened to fall while we were there and on a particularly hot day. In what was probably a once in a lifetime experience for me, he willingly spent two hours walking around Woolworths with me, comparing and contrasting various products and prices, just so we could enjoy the air conditioning. Then we bought some sorbet and enjoyed it in the park. Happy Birthday to him! Our trip back out the Mary River was uneventful. We had a very early departure time with the tide, so the night before we left set about preparing the mooring line and anchor to make it easier. 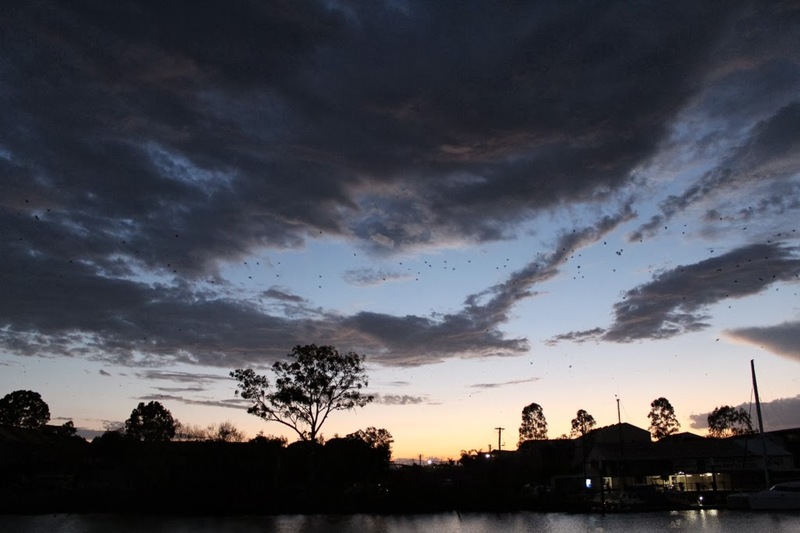 While we were out there, what seemed like thousands of bat swarmed overhead. Following our previous trip in, we had marked the tricky areas on our chart so were well prepared for them. A highlight of the trip was that with the current helping to spit us out of the river, we hit 9.3 knots sailing out of the mouth of the river. We thought about stopping in River Heads but kept going around to anchor behind Booker Island. Where we would be well protected from the predicted northerly winds. Bryce spent a lot of time maneuvering making sure that we were in the most protected spot that we could possibly be. The lightning storms that we experienced there were absolutely indescribable. I tried to take photos of the lightning but trying to capture moving light on a moving boat, proved to be impossible, at least for me. The best description we could come up with was that it was like a 180º fireworks display that went on for at least 8 hours. 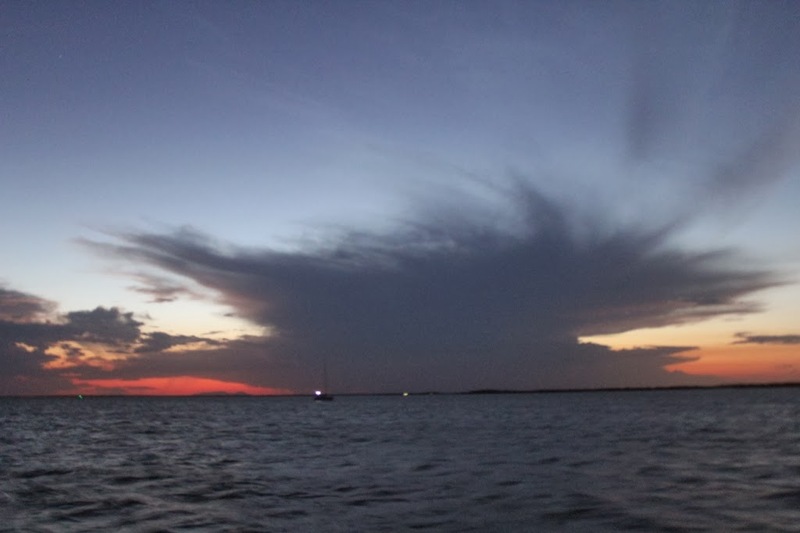 We had thought about sleeping on deck that night because it was cooler up there but when we went up to create our nest, changed our minds after seeing the lightning. We woke up several times during the night, the first when the wind shifted. In the middle of the night, our predicted northerlies became unpredicted southerlies from which we had no protection. The wind also picked up to gusts of 50 knots, pushing the boat over onto quite the heel and the lightning had shifted so that we were seeing bolts of lightning striking quite close to us. Needless to say, we were quite tired the next morning. 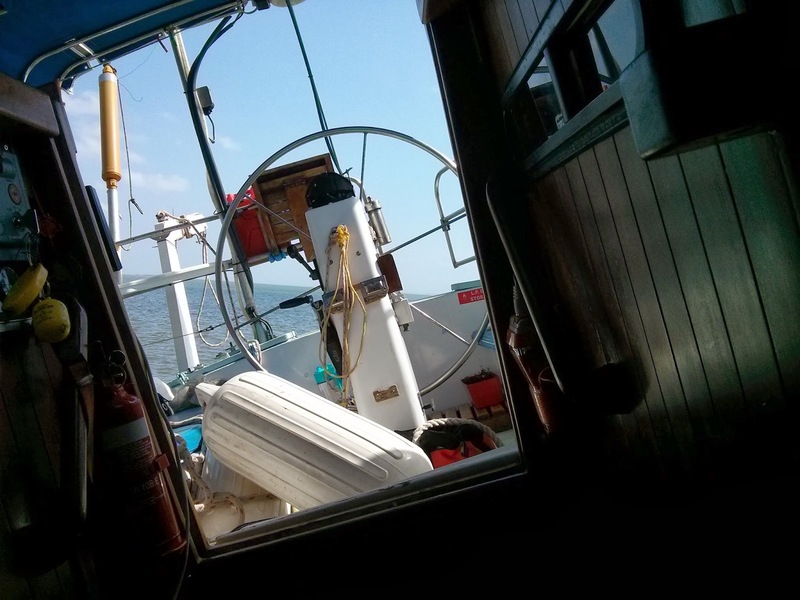 So we sent off early the next morning just before the high tide to navigate our way down the rest of the straights. Sheridan Flats, which is located about half way down is a notoriously tricky section to get through because of it’s depth and it is essential to go through it at the high tide. We made it through there without any problems. On our way up the Sandy Straights we had gone instead Stewart Island and stayed at Garry’s Anchorage for a few days. This time we went on the outside. As we approached the green buoy just off Stewart Island our depth very quickly dropped to 0 and Bryce threw the engines into reverse and got us out of there. We called the Coast Guard to check and they said as long as we kept close to the buoy and took it slowly we would be fine. He also commented that the sands are constantly shifting so its hard to keep on top of it all and that if we got into any trouble we should let them know. So we went at it again for a second try, our depth again got disconcertingly low and with the fear of running aground in the back of our minds, we reversed out again. We found a “safe” place nearby and put out the anchor to wait it out before deciding to go inside Stewart Island, via Garry’s Anchorage. We had been through there before and knew there was safe water. So we backtracked, following all markers and just at the entrance to Garry’s Anchorage, we ran aground. Bryce tried to back out of it to no avail. The coast guard was in the area and tried to pull us out. We think they may have dug us in deeper but still appreciated them trying. After they left, we settled in to wait it out. We set the main anchor, dropped the dinghy and Bryce dropped an anchor out the back too. He also went ashore to Stewart Island to see if we could get water and dispose of rubbish there. There were a bunch of houses there and we could see many people walking around and lots of boats coming and going. Bryce spoke to one of the guys that lived there and it turned out that his grandfather owned and lived on the island. He divided it up and now there are about five families living there completely self-sufficiently. This man told Bryce that the trickiest bits in the straights were Sheridan Flats (which we passed through successfully that morning), the part we had been trying to cross when we turned back, and where we actually ran aground. So we survived 2/3! Good job us! The boat leaned over quite substantially as the tide dropped. I found it much more difficult to maneuver around the boat in this situation compared to when she is heeled over while we are sailing. We had lunch and nap while we waited to come free. While making lunch, I completely forgot about the stove's gimbling abilities until Bryce reminded me after the fact! When the time came, turns out Bryce had a plan to get the anchor back in, he just had not shared it with me. So when I saw some slack in the line, I started to winch the anchor in. We were using a warp line which is different than the lines that we normally use in the winches and I jammed the winch with the line. Bryce was not very pleased with me... We had to cut the line and quickly bring it behind the boat over to the winch on the other side. Bryce, still not very happy with me, started to winch the line in. He decided it was taking too long and set about in the dinghy creating another plan to retrieve the anchor. Meanwhile, I, anxious to redeem myself, continued winching in the line. It was going great until I unbelievably jammed the winch again. Thankfully, the anchor was close enough that we could pull it up, however it did not increase my popularity! We were free and set out around the corner to spend the night at Garry’s Anchorage. As we motored by, all of the residents of Stewart Island who were hanging out of the beach enjoying their beers, gave us a big cheer! In the 30 minutes that it took us to get to Garry's, we held our breath a couple of times as the depth dropped but we made it just fine! 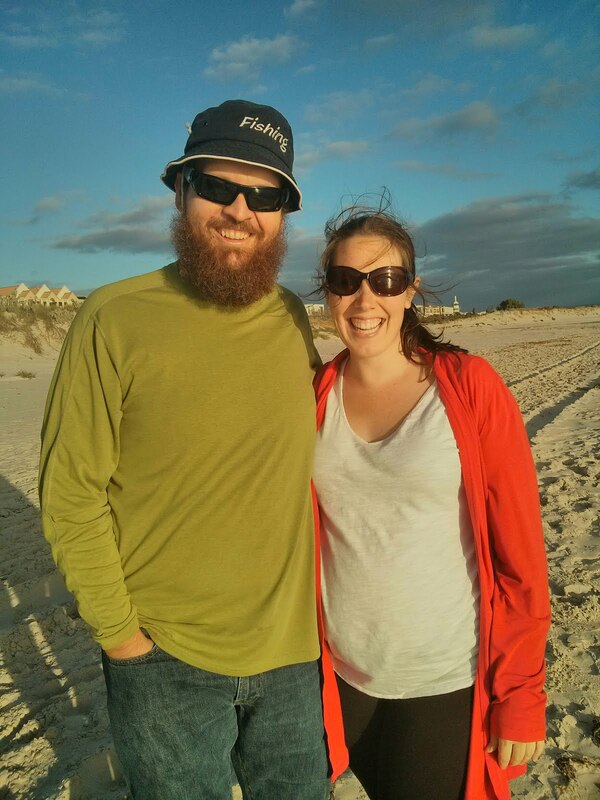 Due to the delay, Tim spent the night at a Backpackers Hostel in Rainbow beach and the next morning we had an uneventful trip down to Pelican Bay where we met up with him. 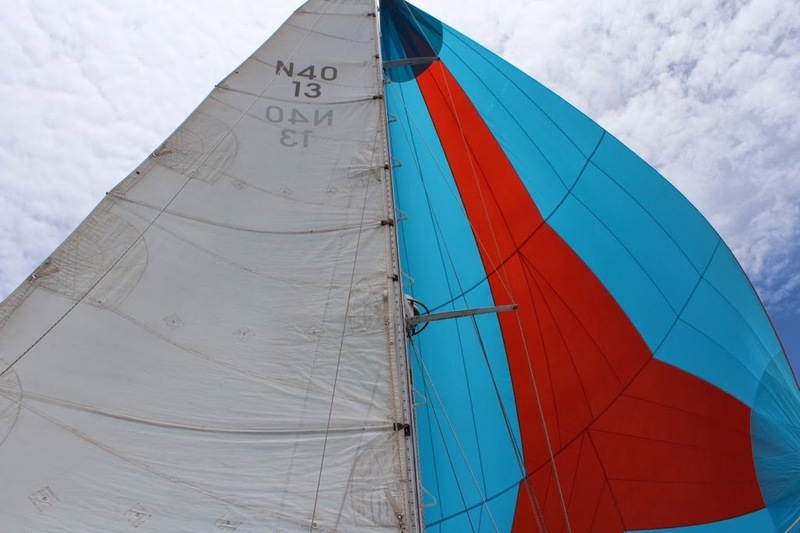 We had a lovely few days sailing, hanging out and celebrating the New Year. 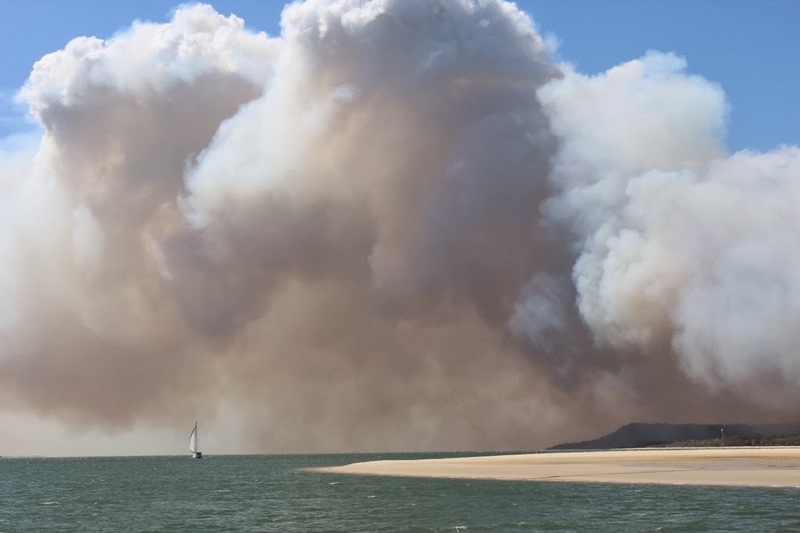 On New Year's Eve, some fires broke out on Fraser Island and spread over the next few days. After the fun, we secured the boat and headed back to Brisbane to send Bryce back off to PNG. Bryce will be in PNG until April and then we will hopefully *fingers-crossed* head off!